It's Mama-Smash vs. The Baby Face Assassin. 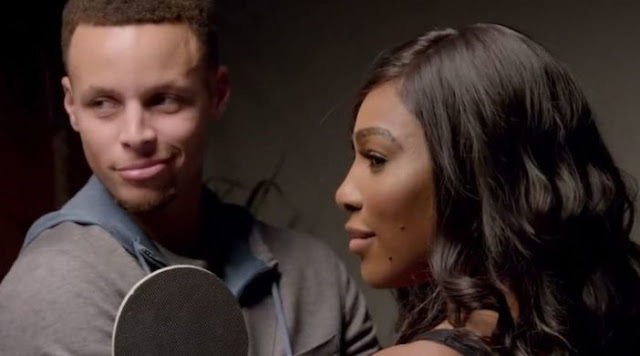 Stephen Curry vs. Serena Williams. Balls will ping, as paddles pong when these two mega-superstars use the Chase Mobile App to pay for broken items in just a tap.